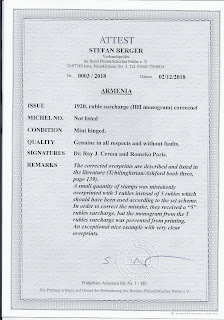 I have contributed hundreds of items in my usual areas: Armenia, Azerbaijan, Batum, Estonia, Georgia, Iran, Latvia, Poland, Romania, Russia, Transcaucasia, Ukraine - but also Latin America and Thematics. Take a look. Among the more unusual items you will find an Armenian newspaper from 1898; a Moscow restaurant menu from the same year; a Maria Feodorovna Playing Card tax banderole; and, of course, lots of scarce stamps and covers including Polish Field Post in Vilnius and Russian revolution period covers and cards, including letters (“we live in a state of suspense …”). For many items, I provide detailed descriptions. The Mathematics of Rarity Pricing. This is a post for those who are better at mathematics than I am. I am just going to set out the basic idea which explains rarity pricing. Suppose that country A (now dead) issued 100 stamps. Ninety nine of these are very common (millions of them) and can be bought for one peso each in any currency. But one is very, very rare - only a few dozen are believed to exist. Suppose there are 1000 collectors of this dead country. Most are prepared to budget 1000 pesos to form a collection and they are very happy to find that they can achieve 99% completion for just 99 pesos. A few are prepared to budget more than 1000 pesos. All would like to have the 100th stamp which will complete the collection and most will bid in auction when one of these rare stamps appears. The sale price will be determined by those with bigger budgets and of one thing you can be sure: it will exceed 901 pesos which is how much most collectors are prepared to budget to complete a collection of country A. Now turn to country B (also dead) which also issued 100 stamps. Of these 50 are very common (millions of them) and can be bought for one peso each in any currency. But fifty are very, very rare - only a few dozen of each are believed to exist. There are also 1000 collectors for this dead country and most are prepared to budget 1000 pesos and a few prepared to budget more. Now everyone can achieve 50% completion for 50 pesos, leaving a minimum of 950 pesos in their budgets. 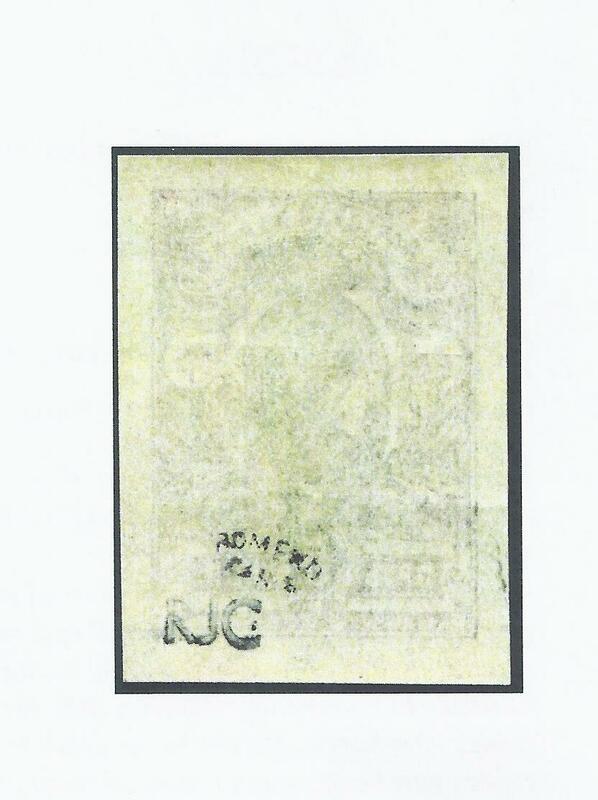 But what should they do when one of the rare stamps appears at auction? How much of their remaining budget should they allocate to one stamp when they know that there are 49 more just as scarce and still to be bought? It is more than likely that they will bid low because a different rare stamp might appear next week. Probably they will bid more than the baseline average of 19 pesos which they would be able to pay for the missing 50 stamps and still stay within budget (19 x 50 = 950). However, there are also the guys with the bigger budgets. But they will have to make a similar calculation: what is my budget for the remaining 50 stamps and how much of it would I risk on just one rare stamp now knowing a different one will come up next week. What is probable is that they will risk less than the 901 pesos which provided a clear rarity baseline figure for country A collectors. In other words, if someone aims to collect a series in which there are rare stamps to be found, the greater the number of rarities in the series the lower the price which each, on average, will command - just because collectors are trying to stay within a budget, however notional and flexible it may be. The absolute rarity (in terms of numbers) of the stamp is not the critical issue; nor is it entirely a question of how popular a collecting area is. So it is that rarities of Russian Civil War philately - from Armenia and Ukraine, for example, sell for small sums. There are just so many rarities and you can’t have them all if you spend all your money on one! Could You Make a Living from Stamp Dealing? I will start by supposing that you are modest and that a “living” is as little as £25000 per year, before tax. That’s 30 000 euro or 32 500 USD. To achieve that you will probably need to achieve sales (turnover) of the order of £100 000 (120000 euro, 130000 USD). I arrive at that figure by assuming that you achieve a 100% gross mark-up on sales, so that you get back £100000 on stock which cost you £50000. But there are costs to running a business. There are the costs of acquiring stock - travelling to auctions, visiting the homes of dead collectors, etc. There are the costs of selling it - taking tables at fairs, running a shop (forget it! ), advertising, paying commissions on sales on ebay or at auction, travel and hotel costs, postage and stationery - I include postage and packing costs within the gross turnover. There are the more or less fixed overhead costs of websites, telephones, office space, an accountant to sort out VAT and digital tax returns, insurance if you are so inclined. In my experience, it will be impossible to get all those costs below about a quarter of turnover, so £25000 - which then leaves the £25000 pre-tax profit I set as the lower threshold. So if your working year extends to 50 weeks, you have to sell, on average, £2000 worth of material each week, every week. If you work a 40 hour work, then you need to be selling £400 every day, £50 every hour of your working week. How is that possible? Leave aside for the moment working 60 hours each week…. working 40 hours, you are earning for your time and effort the grand sum of £12.50 per hour, before tax. It's easy to reduce that hourly rate, harder to increase it. In the UK there are dealers who travel around the country attending small stamp fairs. Table costs are often low (£25 - £100) but so is turnover - £500 might be acceptable to someone with a small stock and the cheapest table; a bigger table and £1000 would be rather better but still implies two fairs each week, every week - and an awful lot of travelling and bad food. An online shop would need to show a very big range online to turn over £2000 each week, which is why most online shops offer more expensive material to cut down the number of transactions needed to achieve the sales target. Buying in bulk and breaking down for resale at auction is another possibility but requires enough capital to contemplate large purchases and confidence that they can be profitably broken down, one way or another. And so on. I think you will get the picture; it’s not going to be easy to make a living from stamp dealing even if your “living” is as little as £25000. I am lucky that I started up as a full-time stamp dealer when I already had a pension from past employment. When I got to 65 and added to that a state pension, I took the opportunity to reduce the scale of my business. In the UK, there is a very high registration threshold for VAT - currently with turnover under £85000, your business is exempt from VAT; you neither claim it back or pay it. So I scaled back to under the threshold (which, remarkably, has gone up every year since I scaled back). It does mean that I cannot make a “living” from what I now do, but I don’t have to. But I still work long hours to achieve the turnover I aim at. The stimulus to writing this Blog post was the fact that the UK tax year has just ended - it runs from April to March, not January to December - and I have just assembled my draft calculations to pass to the accountant who does the fine tuning which tells me in due course how much net profit I have made and how much tax I will have to pay on it. I already know that it wouldn't be enough to live on. 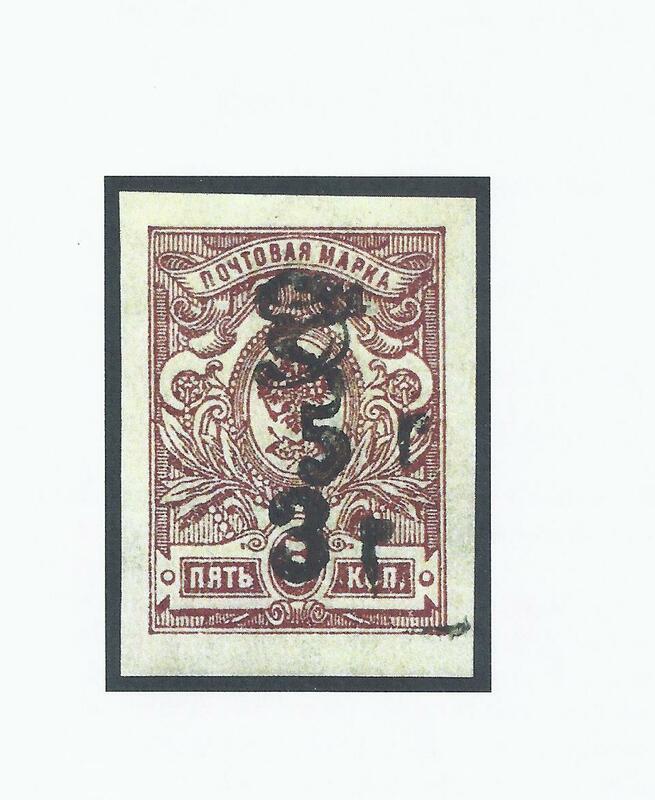 My collections of Podolia / Podilia Tridents, stamps and postal history, are on offer in the 26 - 30 March 2019 Koehler auction. The auction house has provided online illustrations of the entire collections, so if these Tridents interest you, go to heinrich-koehler.de and head to Lots 4396 and 4397. In the past, dealers and experts guaranteed stamps by signing them on the reverse, sometimes by hand and sometimes with a handstamp. This method had a number of disadvantages. First, it was unclear what the signature was meant to claim. Second, it was open to abuse: you could get an expert to sign a relatively common stamp and then you could later add a rare overprint and point to the signature as a guarantee. To try to stop this abuse, experts sometimes signed twice when given an overprinted stamp - once for the stamp, once for the overprint. 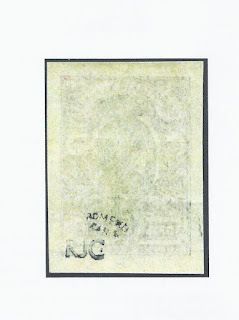 Third, handstamp ink often penetrated to the front of the stamp, causing an immediate reduction in value. Fourth, over time collectors forgot who the experts were especially when they signed with initials or a symbol. Fifth, when someone got it wrong, the mark on the back either had to be crossed out or otherwise commented upon. 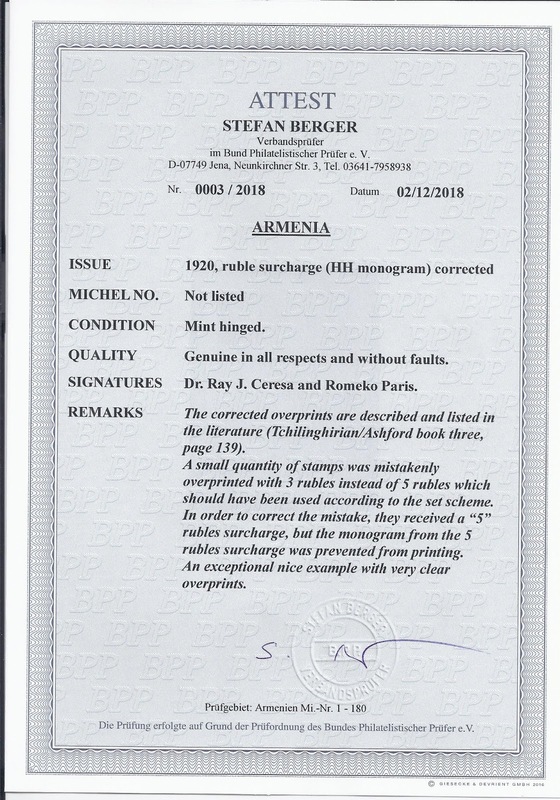 I have several stamps in my stock where an expert has written FAKE or FORGERY or FALSCH and has later changed their mind and crossed it out and signed again. These stamps are not saleable. Modern photographic, scanning and computer print technology allows a much better way of doing things. At no great cost, an expert can now link a stamp to a printed document and not sign the stamp at all. This is now standard procedure for most experts, including anyone who is a Verbandspruefer of the German Bund Philatelisticher Pruefer e. V. Here’s an example. Note how both the back and front of the stamp are photographed, in high resolution, and how the “Attest” format allows for comment and explanation. Even twenty years ago, to produce a document to this standard would have been quite expensive; nowadays, a desktop computer and scanner are all that is needed apart from the security-printed “Attest” formular. This is a very impressive catalog. 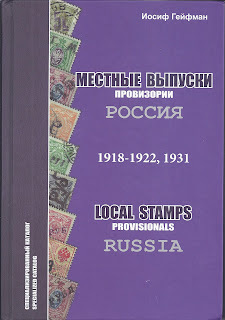 With 450 high-gloss full-colour pages it makes full use of the possibilities provided by modern print technologies to organise a reasoned listing of very difficult stamps, clear and detailed enough to make it possible for even non--specialists to see what they should be looking for in Russian local stamps, by which is most often meant the Postmaster Provisionals of 1920 - 22. Cross-listings at the end make it possible for the user to start from the stamp rather than an overprint, from the ink colour of the overprint, as well as from the precise form of the overprint, for example p 1 p (which, incidentally, yields a unique result). The author is cautious in his assessments and if he is not convinced that a supposed local type is genuine, even though others have listed it, then he indicates this with a ? or ?? What more can one ask for? I think there would be little point in illustrating the numerous forgeries produced with a child’s printing outfit, mostly on mint stamps - which simply don’t exist for the majority of provisional issues. The important thing is to study what the genuine items look like and what kinds of cancellations they should show. The catalog allows us to do both those things. I did think that the author could have mentioned the small number of signatures which are reliable on 1920 provisionals. My own list would include Dr Jem, Krynine, Mikulski, Pohl, Vinner. But “reliable” here does not mean 100% reliable. 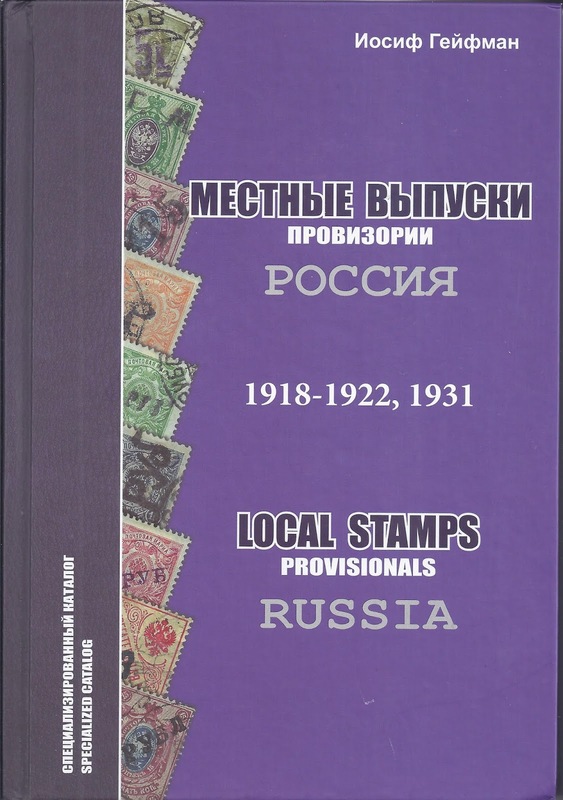 The only provisional I don’t find here but would have included is the use of the 20 / 14 kop Romanov in Tomsk guberniya, revalued x 100 in 1920 and put into use on Money Transfers and Parcel Cards well after the invalidation of Romanov stamps. I believe that this use would have required local authorisation; a counter clerk would not have taken the initiative to use an invalid Romanov at this late date. I have blogged several times about the 1920 provisionals - 9 December 2010, 10 Feb 2011, 8 March 2011, 18 August 2014, 17 November 2014, 18 November 2014, 4 June 2017. 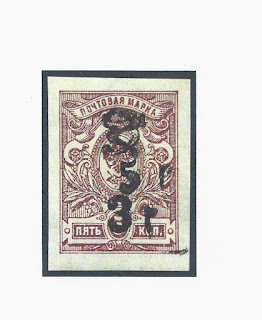 My main belief is that we only have Postmaster Provisionals / Local postmaster stamps to collect because the early Soviet Philatelic Association was alert enough and powerful enough to obtain the relevant post office archived money transfers and parcel cards for 1920. I think they started with many thousands of items and studied them fairly carefully. It would be interesting to know exactly who was involved in the work (Krynine? Vinner? …) and how the material was then marketed. Apart from Michel Lipschutz, who else before, say, the 1950s, formed large collections of this material? This extraordinary hardback book has 478 pages which include several hundred full-colour illustrations as well as a long, detailed text. The focus is on the years 1905 - 1906. 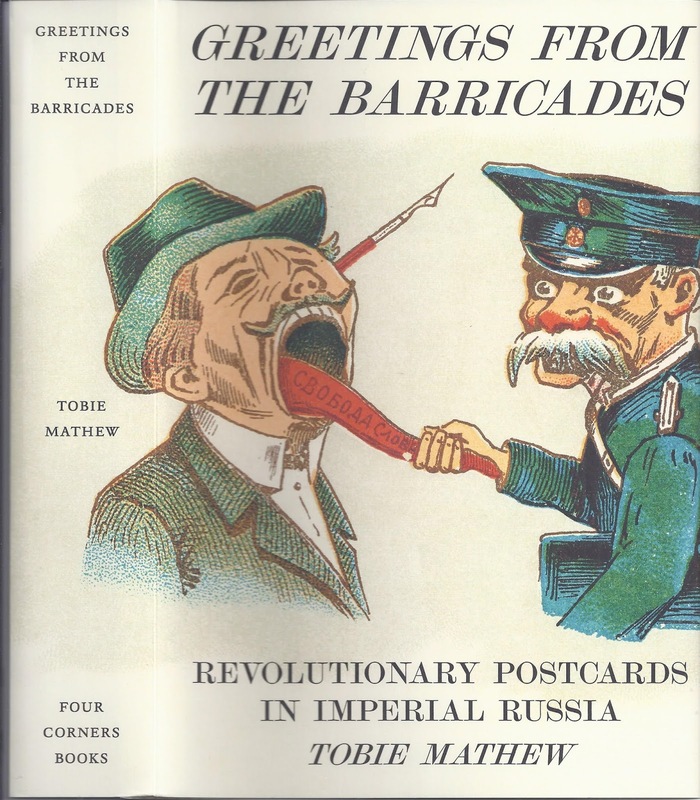 The author is a UK-based writer who was previously an Associated Press correspondent in Moscow. Much of the archival work for this project was undertaken in Russia.